The restaurant „Pod Łososiem” offers an unforgettable climate, an excellent flavor and real prestige. This is a great place for both business as well as for romantic dinner or lunch with family. 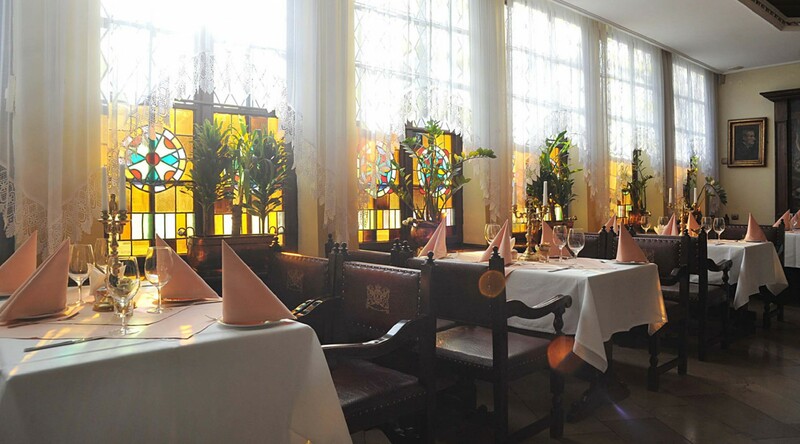 The restaurant „Zum salmon” has a centuries-old tradition. Ambroży Vermollen founded 1598 an inn and a liqueur production. His most famous liqueurs became the Danziger Goldwasser. This tradition has not been forgotten, and after the war, the Gdansk inhabitants have rebuilt this famous place.